If the carpets in your home, hotel, rented or commercial property have become filled with stains, pollutants and allergens, you can rely on our company to restore them. We offer high quality carpet cleaning to the residents who live in North West London which is implemented by qualified technicians. All of them have the necessary skills, experience and training to provide professional sanitising of carpets. 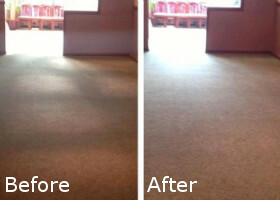 Use our services to maintain the carpets in your property spotless and clean at all times and you will use them longer. It is recommended to perform deep cleaning of every carpet at least two times in the year and oftener in some cases. Before starting any work, our staff will check the condition and materials of the carpet and choose the necessary machines and preparations for cleaning it. They will test a small quantity of the cleaning products on the carpet. The obstinate stains, allergens, dirty patches and soiling will be pre-treated and removed completely from the carpet. 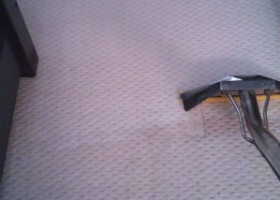 Our technicians use effective steam cleaning machines that disinfect the carpet fabric and extract all pollutants. They use industrial dryers which vacuum the moisture and in the end apply deodorisers to leave the sanitised carpets refreshed and pleasantly scented. Book the carpet cleaning which you need using our services that are available in North West London during weekdays and weekends. Our staff of cleaning professionals are background checked, certified and can sanitise all kinds of carpets using the most effective detergents and high-end machines. Take advantage of our affordable carpet cleaning services which we provide in and near Somers Town, London during all days of the week. We can sanitise your carpets during bank holidays or at the weekdays without charging you additionally. Call us or use our booking form.